Can anyone help identify this kart chassis? 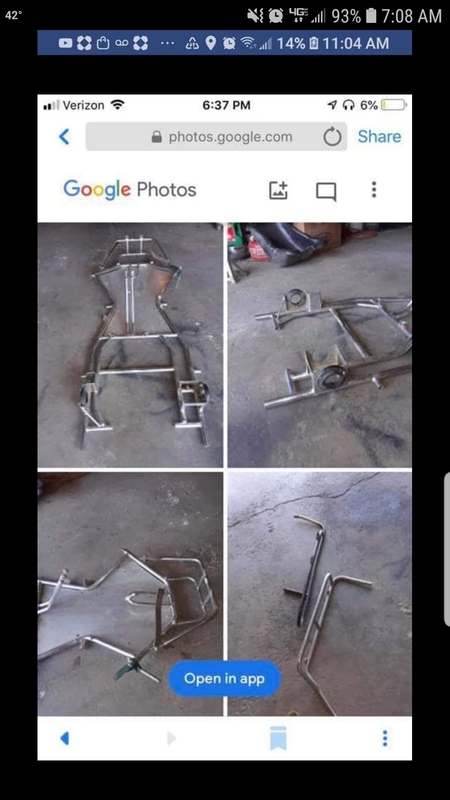 a buddy of mine found this frame for sale and we are trying to figure out what it is. The owner doesnt know much about it. Any marking on that one spindle? Rear setup looks American… I’m going to guess a high-hp Coyote prototype? Interesting features on it. It looks a bit dated. Bearing carriers are pretty unique.